Statewide, 27 of the 29 hospitals evaluated—or 93 percent—will be penalized in the 2019 fiscal year that began Oct. 1, according to a Kaiser Health News analysis of CMS data. 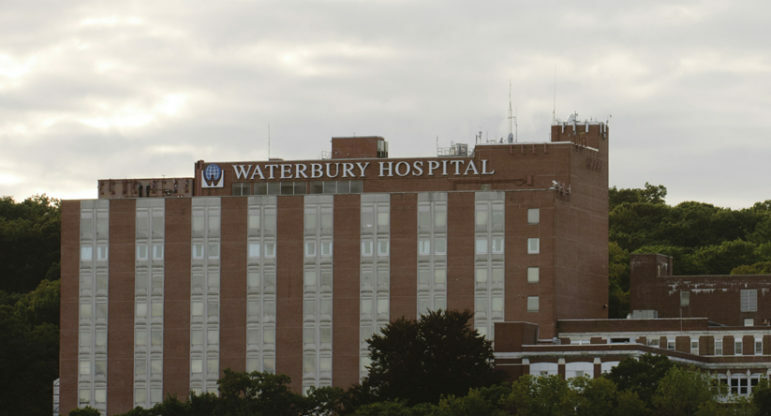 Waterbury Hospital received the largest penalty, 2.19 percent. The Medicare program has penalized hospitals since the 2013 fiscal year for having high rates of patients who are readmitted within a month of being discharged. Nationally, hospitals will lose $566 million in penalties, which were instituted as part of the Affordable Care Act to encourage better health care delivery. No hospital in the state received the maximum penalty of 3 percent, but nine will have their Medicare reimbursements reduced by 1 percent or more. They are: Waterbury Hospital at 2.19 percent, Bridgeport Hospital at 2.01, Bristol Hospital at 1.91, Manchester Memorial Hospital at 1.74, Johnson Memorial Hospital in Stafford Springs at 1.71, Midstate Medical Center in Meriden at 1.37, St. Vincent’s Medical Center in Bridgeport at 1.21, Griffin Hospital in Derby at 1.17 and Yale New Haven Hospital at 1.03. Norwalk Hospital had the lowest penalty at 0.02 percent. Two facilities, Hebrew Home and Hospital Inc. in West Hartford and Stamford Hospital, were evaluated and received no penalty. Last year, Stamford was penalized 0.2 percent and Hebrew Home and Hospital had no penalty. Two acute care facilities, The Connecticut Hospice Inc. in Branford and Connecticut Children’s Medical Center in Hartford, aren’t evaluated under the program. In the years since penalties were introduced, hospitals have taken various steps to reduce readmissions, said Dr. Mary Cooper, chief quality officer and senior vice president for clinical affairs at the Connecticut Hospital Association. Hospital staffs throughout the state are more attentive now to social determinants that impact people’s health—things like housing, transportation, food insecurity and the ability to understand discharge instructions. Increasingly, hospitals are working with community groups to connect patients with resources they need once they leave the hospital, Cooper said. “It certainly has had an impact on behavior in hospitals. It’s drawn the attention to what happens after the hospitalization, things that hospitals had said [previously] they were not in control of,” she said. Still, Connecticut had a relatively high share of its hospitals penalized, compared with other states, data show. Just seven states had more than 93 percent of evaluated hospitals punished. While fines have motivated hospitals to take more creative approaches to their work, more needs to be done, said Lisa Freeman, executive director of the Connecticut Center for Patient Safety. 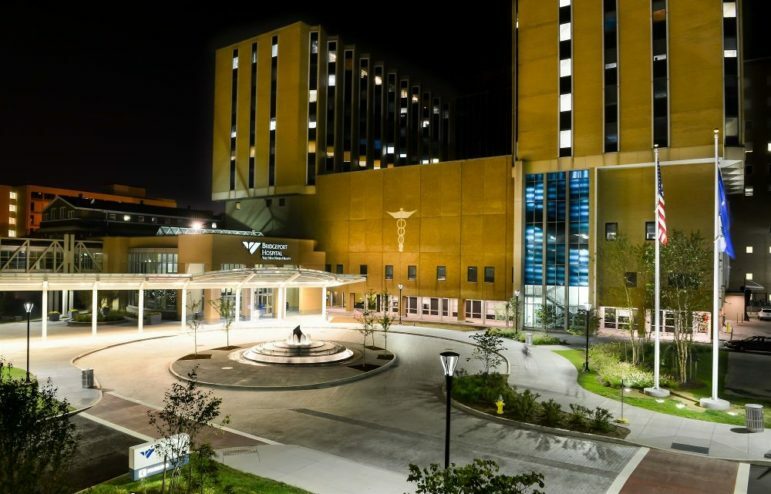 CMS penalized Bridgeport Hospital 2.01 percent. Continued efforts to seek new approaches and re-examine how care is provided would help reduce readmissions, Freeman said. The penalties imposed for the 2019 fiscal year reflect a major change in CMS’ methodology. For the first time, hospitals were placed into “peer groups” and their readmission rates were compared against facilities that serve similar proportions of low-income patients. CMS then examined readmission rates among the various peer groups from July 2014 through June 2017 to determine whether penalties were warranted. Prior to the change, officials at some “safety net hospitals,” which treat a large share of Medicaid- or Medicare-eligible patients, argued that readmissions sometimes happen through no direct fault of the hospitals. Low-income patients are less likely to have a primary physician or seek follow-up care, for instance. Addressing the myriad social factors that impact health is the biggest challenge facing hospitals, Cooper said, but the work they are doing with community-based organizations is a good start. Many hospitals are working with consultants to better understand and address social barriers to care, she added. You can view all the CMS hospital penalties here.